Kintsugi is an old Japanese art of fixing broken pottery with gold. 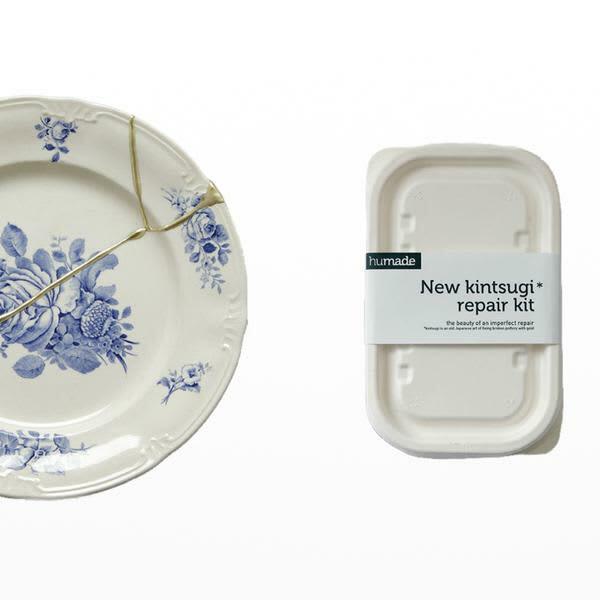 New kintsugi is a new way of gluing porcelain based on the original kintsugi technique. New kintsugi combines this lovely old technique with new technology. Design Museum Shop in London, United Kingdom.